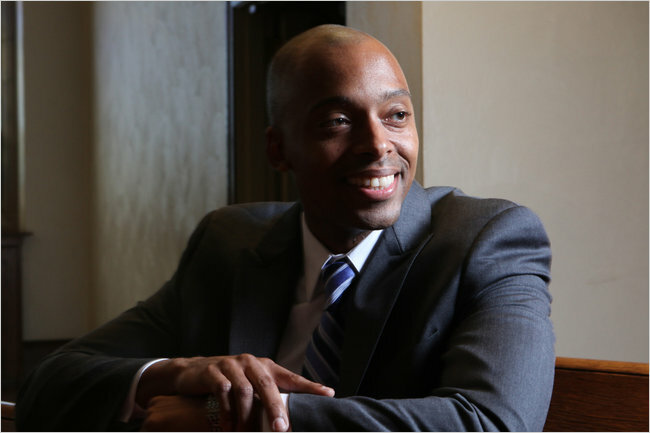 Khalil Gibran Muhammad, a history professor at Indiana University, has been named the new director of the Schomburg Center for Research in Black Culture, to begin in July. New York Public Library officials made the announcement on Wednesday, ending a sometimes contentious search. Dr. Muhammad, 38, will succeed Howard Dodson Jr., 71, who in April announced his plan to retire after leading the Schomburg, a research library within the city public library system, since 1984. Under Mr. Dodson’s leadership the Schomburg’s holdings of artifacts related to the global black experience doubled to 10 million items from 5 million. Mostly recently the center acquired the papers of Maya Angelou, a collection that joined treasures like a rare recording of a Marcus Garvey speech and documents signed by Toussaint L’Ouverture. Under Mr. Dodson visitors to the Schomburg Center, at 515 Lenox Avenue, at 135th Street, in Harlem, tripled to about 120,000 people annually.